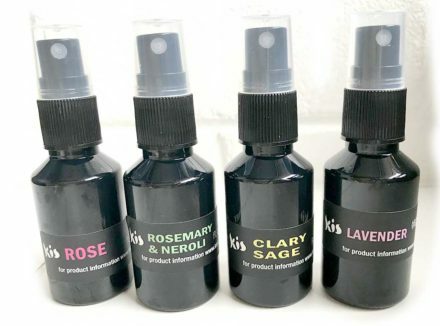 Try all four hydrosols, in 30ml spray, made by our aromatherapist. A perfect size to pop in your handbag or travel luggage. Re-hydrate your skin anytime during the day. Can be used for many other purposes. Ie pillow spray, disinfectant, add to diffuser, after sun. 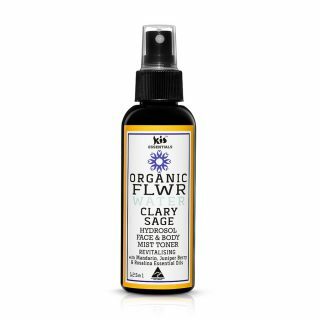 Ingredients: Purified Water, *Organic Lavender Water of distillation, Vegetable Glycerine, Aloe Vera, Potassium, Lactic Acid; Oak Moss Absolute, *Certified Organic Patchouli Oil, *Certified Organic Lavender Oil, Chamomile & Bergamot Oil. Ingredients: Purified Water, *Organic Rosemary Water of distillation, *Organic Neroli Water, Vegetable Glycerine, Aloe Vera, *Certified Organic Lemon Oil, Rosemary Oil, *Certified Organic Petitgrain Oil, Geranium & Neroli, Potassium, Lactic Acid. Ingredients: Purified Water, *Organic Clary-Sage Water of distillation, Vegetable Glycerine, Aloe Vera, Potassium, Lactic Acid, *Certified Organic Mandarin Oil, *Juniperberry Oil, Rosalina Oil & *Organic Clary Sage. Ingredients: Purified Water, *Organic Rose Water of distillation, Vegetable Glycerine, Aloe Vera, Potassium , Lactic Acid, Ylang-Ylang, *Certified Organic Tangerine Oil, *Rosa Oil.